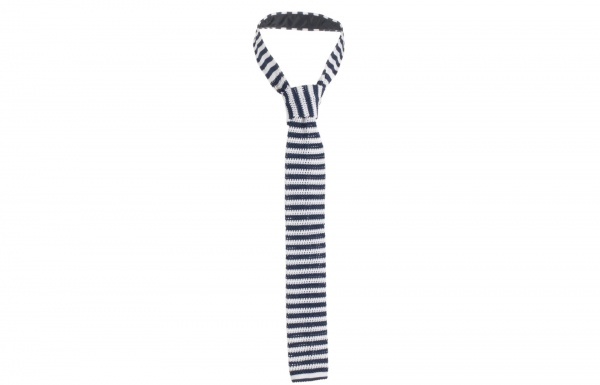 Now this navy and white striped knit tie by Sefton? This is one heck of a tie. No matter how you sort it, this silk knit tie is an absolute cracker, with a nice squared end, and cheery Breton stripe inspired design. Available online now.